The top query people seem to have about growing succulents is can succulents grow indoors, in the office or in low light? One of our most popular posts here in this website is “Top 12 Low Light Succulents and Cacti”. People want to know whether succulents can live in poor lighting conditions and how they can grow succulents in low light. 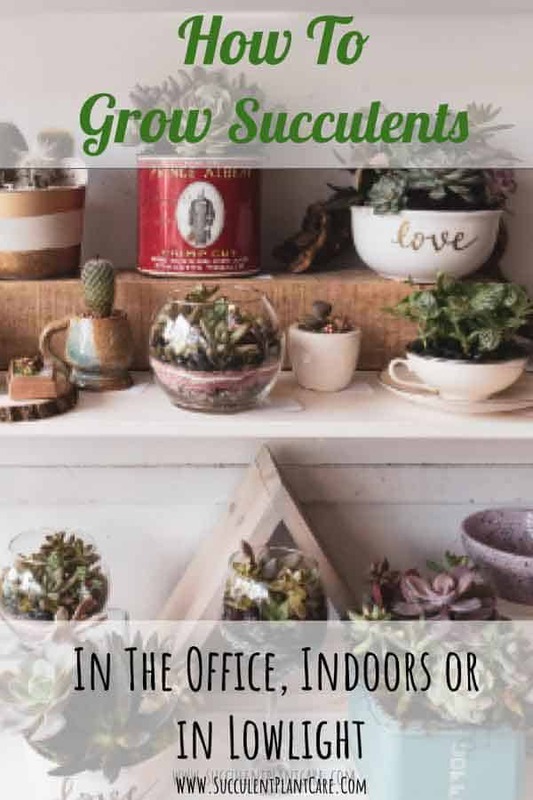 So I have put this together to help keep your succulents alive indoors, in the office, and under poor lighting conditions. 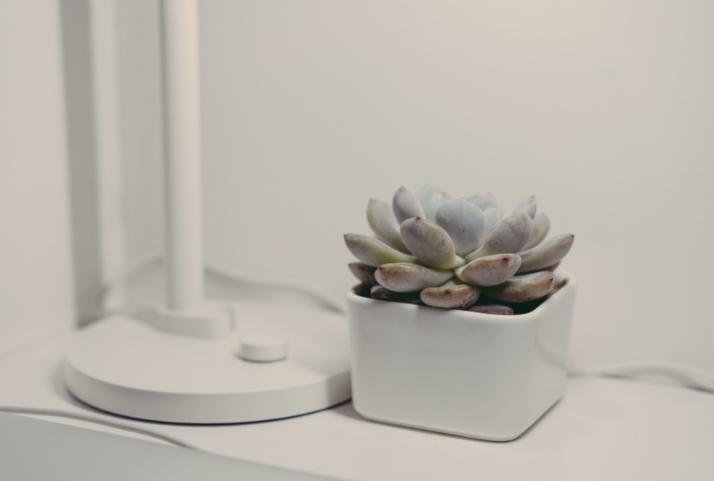 Can Succulents and Cacti Grow In the Office or In Low Light? Keep succulents on the dry side. Do not over-water. Provide a very well draining potting mix. Provide adequate lighting (either natural or artificial light). When you keep these 3 top things in mind, your succulents and cacti will stand a much greater chance at surviving low light conditions indoors. 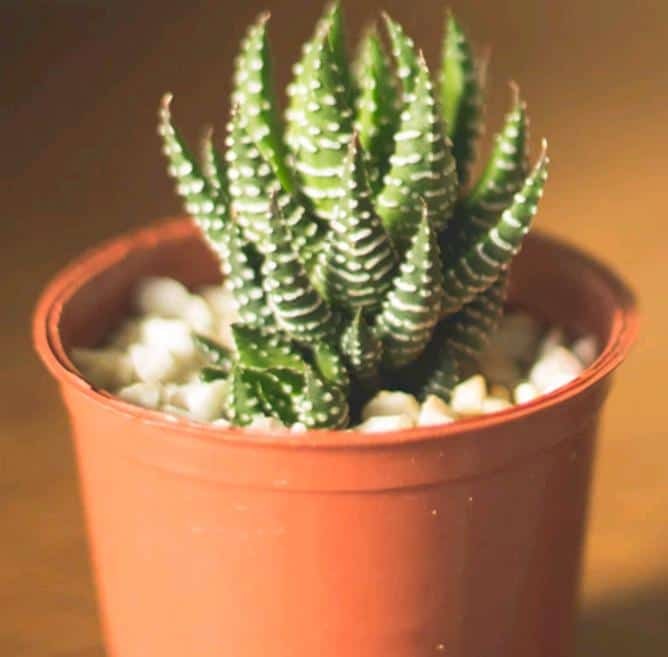 While these top 3 things are the most important things to keep in mind when growing succulents in low light, there are other things to consider to ensure your succulents’ survival. The type of succulent plant you are using. Not all succulents are alike. Consider each succulent type and species as unique, each with their own growing requirements. Some succulents are more adapted to growing in low light and will therefore be better suited as office plants or low light plants. Succulents that need full sun will be very poor choices as office plants. Get to know your plants, do a little research before you decide which ones to get in the office (See below for suggested plants). The type of soil you use. I mentioned above that you need a well draining soil but what is that exactly? Succulents do not like having wet feet, meaning they do not like to sit in wet soil for too long. Soil that is too heavy or dense does not dry out fast enough for succulents. Succulents need a fast draining soil to begin with, and under low lighting conditions a fast draining soil is not only a must but an absolute necessity.The fastest way to kill your succulent plant is constantly wet soil and poor lighting. These two combined is a sure recipe for disaster. I like to use cactus mix combined with perlite in equal parts (1:1 solution). This is the easiest combination you can make on your own. To add even more drainage, you can use coarse sand and add it to the mix (1:1:1 solution of cactus mix, perlite, coarse sand). Some people also add gravel and pumice to the soil but these can be costly and sometimes difficult to find. Here are my soil and soil amendments recommendations you can find online. Watering techniques. Pay attention to how much and how often you water your plant. It is better to water the plant thoroughly instead of misting. Water the base of the plant or the soil instead of the top of the plant. Let the water reach the roots of the plant to be absorbed and do not water again until the top inch of the soil is dry. Do you need to water until water drips out of the hole of the pot? We hear this advice a lot but sometimes no matter how much you water the plant, water may not drip out of the holes of the pot. If the potting mix is fresh and if you have a pot that absorbs water like a terracotta pot, excess water may not always drain out of the hole. I mentioned this because some people get confused about watering their succulents, waiting for the water to drip out of the holes of the pot. If they don’t see water coming out, they keep watering the plant. This can cause you to over water your plant. Just give it a good drink of water and do not worry if water does not drip out of the hole. Pour out any excess water from the saucer, if any. Just as a reference, I water my OUTDOOR succulents every 7-10 days in the summer months where it gets really hot and sunny here in California. If you are watering your indoor succulents in low light once a week, you are highly likely overwatering your plants. Indoor plants do not dry out as fast as outdoor plants where the sun is more intense. And if you live in a humid environment, you need to water your indoor plants even less. Some people like using the ‘soak and dry method’ of watering their succulents. I do not water my succulents this way but this is worth mentioning because it is the method of choice by many succulent growers. How the soak and dry method works is instead of watering from the top you place the pot in water and leave it there to let the plant absorb the water from the root up. You can use a tray or a saucer and fill it with water. Place the pots in water and leave it there for a few minutes to allow the plant to soak up the water. Remove the pot from water and wait about a week or so when the soil dries and repeat the process. As you can tell, watering succulents is a hot topic and is often a source of confusion for many. I have an article you can check out “How and When to Water Succulents and Cacti” for more details. There are tools such as moisture meters and hygrometers to help you gauge the moisture level in the soil and the air. Here are some of my moisture meter recommendations. The type of pot you use. Ideally the pot should have a drainage hole to allow for excess water to drain out of the holes. Succulents grown in low light are already susceptible to root rot. Having holes in pots will help with aeration and drainage. If your pot does not have drainage, be extra careful with watering the plant and make sure to not overdo it. 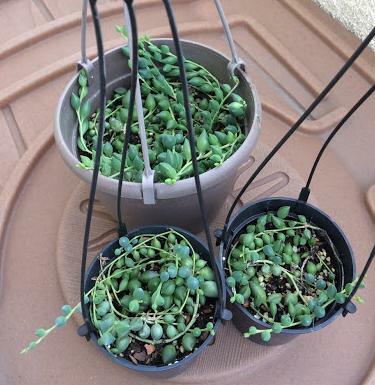 Check out my article on “How To Grow Succulents in Pots Without Drainage” for watering tips. Another article on how to choose pots for succulent that you may find helpful is “Choosing the Right Pot For Succulents: Pros and Cons”. How much natural light is pouring in through the window. First you need to determine if there is any natural light coming in. You need the brightest window possible. The brighter the window, the better it is for succulents and cacti. It is easier to correct for too much sunlight coming in the window than not enough light pouring in. 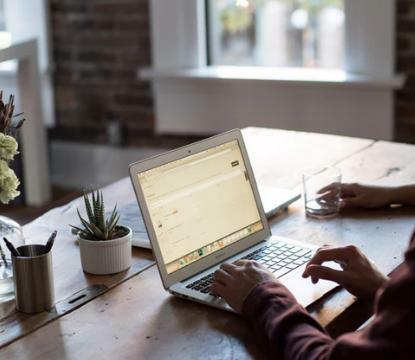 Whenever possible, get an office space with lots of windows and natural light. This is a good excuse for you to ask for that space in the office closest to the window. Just say you need it for your plants to survive. An added benefit of having windows is you will get a better view and it will put you in a better mood. But what if you’re stuck in a windowless office? Or maybe the window is too far away from where you are to have any beneficial effects. If there is no windows nearby, there is still hope. It’ll just be a little trickier. You need to invest on a grow light or artificial lights to help supplement the lighting requirements your succulents need to survive and thrive. Ideally, succulents need about 4-6 hours of sunlight a day to keep them happy and growing. What if there is no natural light? Can succulents grow without any sunlight at all? While not ideal, it can be done. Plants, including succulents, do not need natural sunlight to grow. They just need light to grow. It doesn’t matter where the light comes from. Sunlight contains the full spectrum of light and while succulents do not need all the color spectrums of light to grow, it’s difficult to determine which spectrums of light it needs. And this is where grow lights come in handy. Grow lights mimic the full spectrum of light that sunlight provides so we don’t have to guess which ones our plants need. 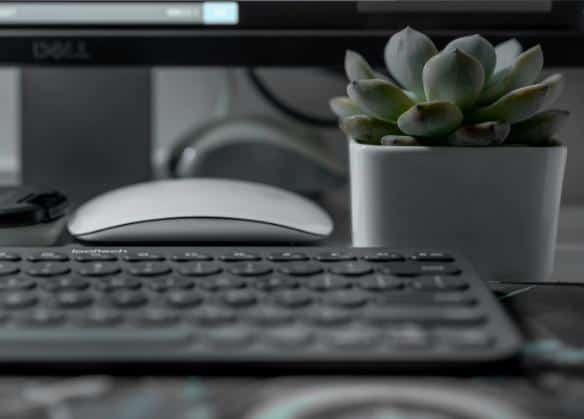 Cost–How much are you willing to invest on a grow light, especially if you are keeping it outside the home and in the office. Luckily, these days you can easily find affordable ones that won’t make that much dent in your wallet. 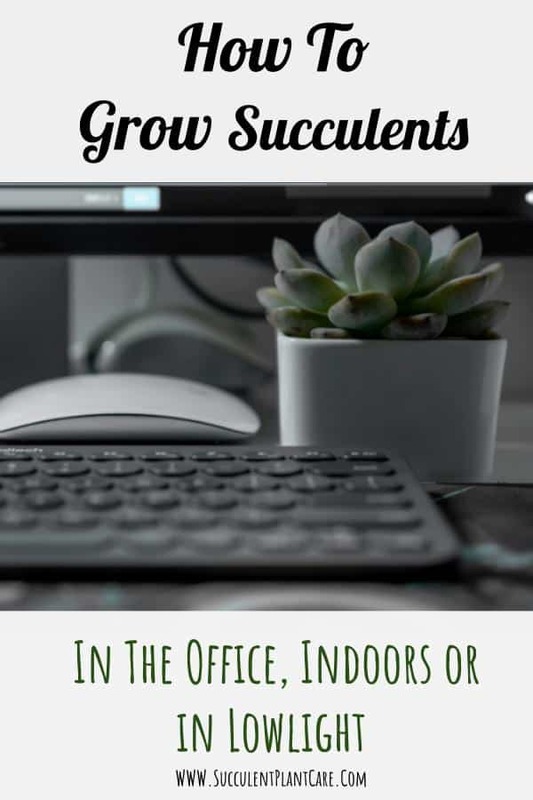 Size–Depending on your office or indoor space, the size of the grow light may be an issue particularly if you are sharing a space with others. It is best to start with smaller grow lights to see how things go in terms of space and how it looks aesthetically. Intensity–Will the intensity be enough? While not always the case, most of the time the size of the grow light determines the intensity of the light it emits. Smaller grow lights are not as intense as bigger ones and you may need to leave them on longer to provide adequate lighting for your plants. Duration–The lower the intensity of the light, the longer you need to have the grow light on. Along with the size and intensity, you need to consider how long you need to keep the grow light on and if the added electrical cost will pose a problem for you personally or for your company. Heat emitted–Grow lights can get very hot especially if kept on for a long period of time. The heat emitted by grow lights can increase the temperature indoors and if this is a small, shared space, the temperature in the room can get too hot. Some things to keep in mind: LED lights do not get as hot as fluorescent lights and do not use as much electricity but LED lights are also not as intense as fluorescent light. Just keep these things in mind when making a decision which grow light to choose especially if you are sharing a space with others. Here are some of my grow light recommendations. 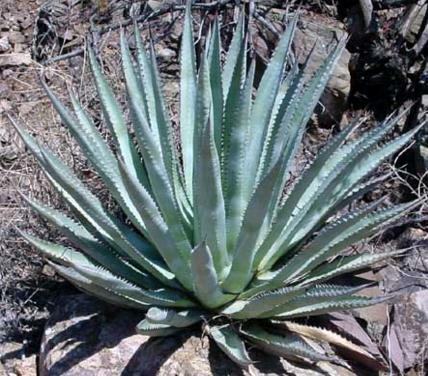 Aloe is a large genus of succulent plants. Some species grow really large while some species remain small. Smaller aloe species, dwarf species and hybrids do well in the shade and can survive low lighting conditions. 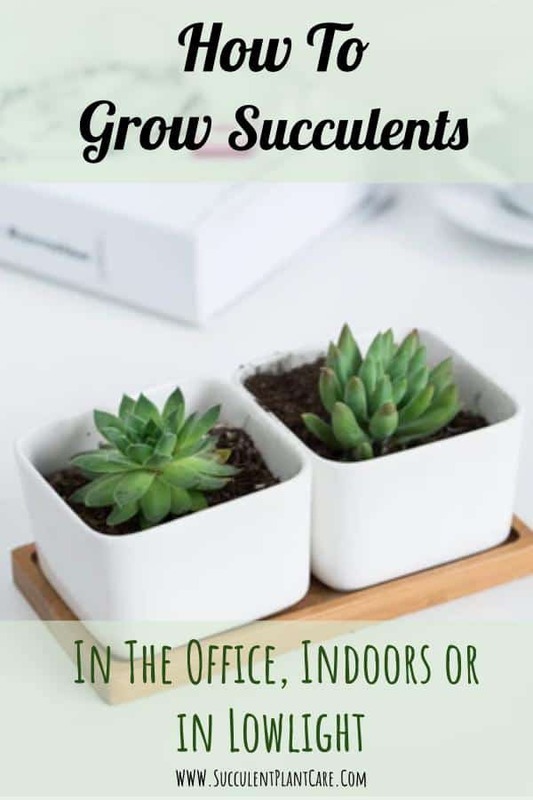 These are easy going, low maintenance plants which make them a great choice for the office where you can forget about them and ignore them for the most part. Aloes are great starter plants because they can survive and thrive in different growing conditions. They spread by producing clusters and offshoots as baby plants. Their growth can be controlled if kept in smaller containers. Haworthias are a large genus of dwarf succulents. Some haworthia species closely resemble an aloe plant. A popular one is Haworthiopsis attenuata (Zebra plant). These plants can tolerate poor or low lighting conditions. They look their best when provided with bright, filtered light. They have long, green leaves with pointy edges and covered with white warty spots. They produce pups and offshoots readily when mature. Sansevieria is not only a popular succulent plant but also a very popular houseplant because of its air purifying properties. Sansevierias are known to purify the air by removing formaldehyde and benzene toxins from the air. 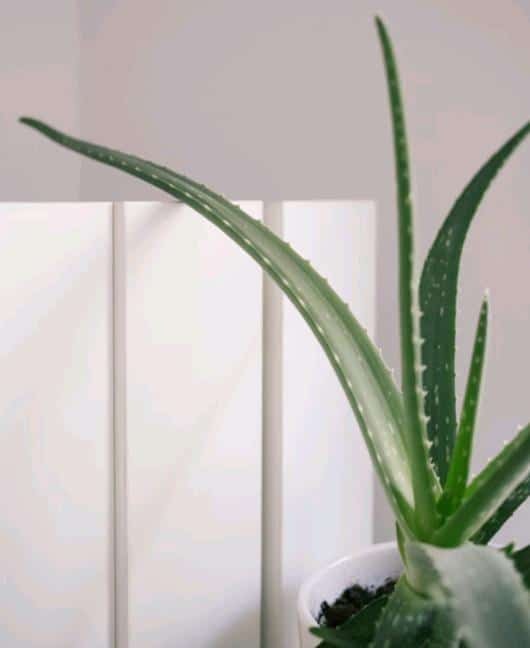 Sansevieria can tolerate low lighting conditions which makes them an ideal choice for indoor or office plants. These plants do not do well in full sun and need to be protected from intense sunlight. They will do best when provided bright, indirect light. Schlumbergeras are different from other succulents in their appearance and growing habits. They are native to the tropical rainforests of Brazil, which gives them the name ‘tropical cacti’. They are epiphytes, meaning they grow on trees and other plants. 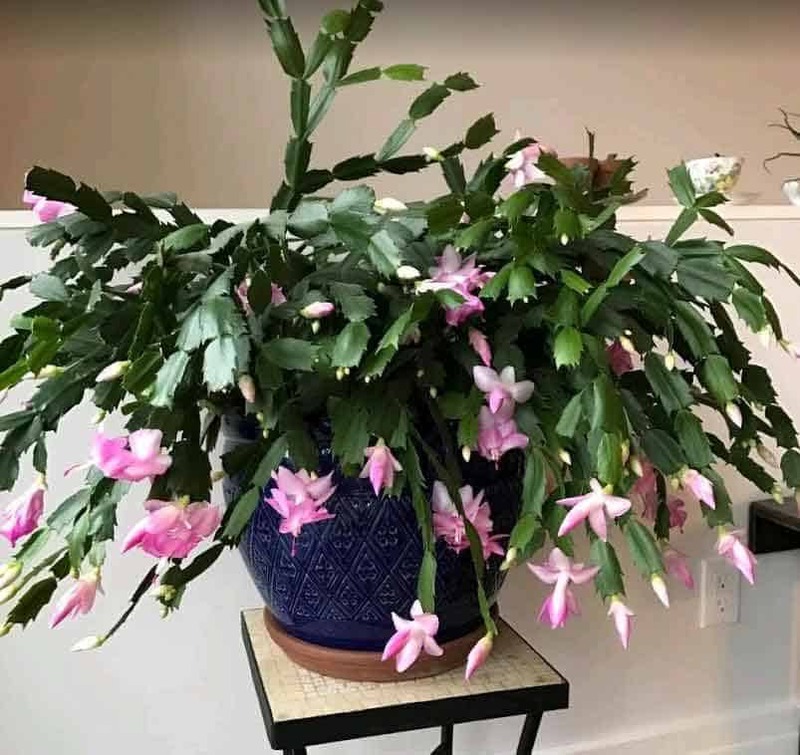 One of the most common varieties are the Christmas and Thanksgiving Cactus. These make excellent indoor plants because they do well in partial shade and need to be protected from direct sunlight. Senecio Rowleyanus ‘String of Pearls’ continues to grow in popularity as an indoor plant. These plants have unique pea-shaped green leaves growing on thin stems. They indeed look like green strands of strings of pearls. These plants need to be protected from direct sunlight and will do best in partial shade. They can tolerate low light provided they are not overwatered which will rapidly cause root rot. These plants are particularly susceptible to rot because of their very thin stems. Supplement with a grow light under poor lighting conditions to keep them happy. They look best in hanging planters where their stems can hang and trail as they grow. 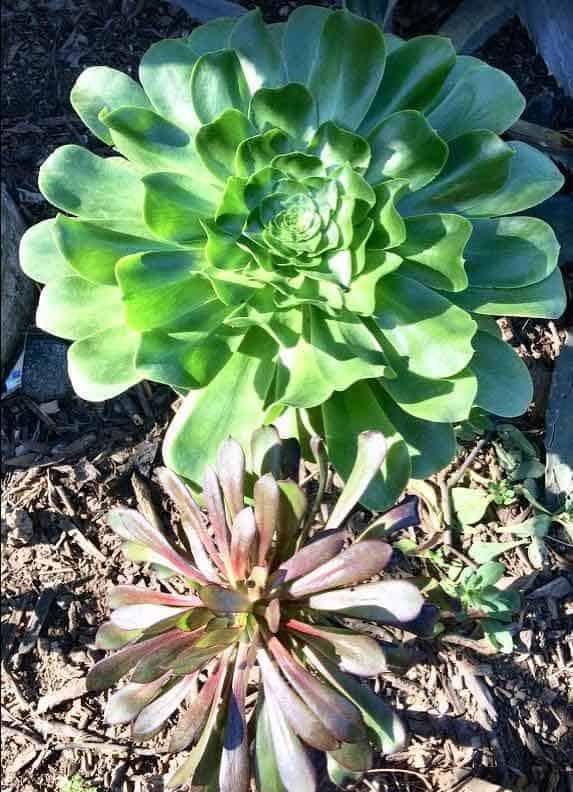 Aeoniums come in a variety of shapes, colors and sizes. Some remain small while some can grow really tall. 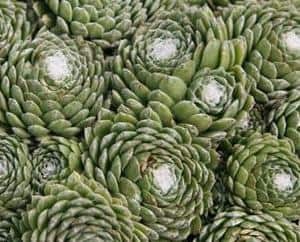 Although hardy plants in general, aeoniums do best in full sun or partial shade. They need a bright environment to thrive. Agave species vary widely. Some species can grow over 10 feet tall while other species remain small. Agave will do best in full sun and will not do very well indoors with poor lighting conditions. Generally low maintenance, easy going plants, sedums do really well outdoors under very bright light to full sun. These plants will quickly stretch and etiolate when kept in low light, even just a few weeks. 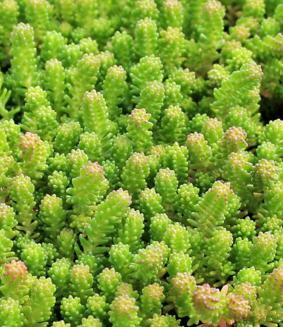 Sedums are happiest outdoors receiving plenty of sunlight or at the brightest spot in the house. Sempervivums come in different varieties of colors and sizes. They do best in full sun or bright light. Put them in the shade and they start to grow long and stretch out, giving them a distorted look. They lose their color intensity when kept in the shade. Sempervivums multiply by growing clusters of small babies around the mother plant, giving them their name ‘hens and chicks’. Cinnamon powder has been long used in gardening as a natural fungicide. Sprinkle some cinnamon powder on affected areas or as prevention. It does not harm the plant. Aside from cinnamon powder, you can use baking soda and sprinkle some on the soil as a natural antifungal. You can dilute apple cider vinegar in water and spray on the soil as an antifungal solution. You only need a few drops of apple cider vinegar in about a cup of water. Growing succulents and cacti in the office or in low light can be tricky, but still doable. If you follow the recommended tips outlined above, your succulents will stand a better chance at surviving. The benefits you get from having plants around you will be worth all the trouble you have to go through to care for them. Check out my Resource Page to get some ideas where you can purchase some of these succulents online. Pin this to save for later or share with others now!